What will OLED displays do for us? What is a patch Panel? Google is trying to encourage diversity in the games that are available by pointing out that while 65% of women play mobile games, yet only 23% of game developers identify as women. So they have created this challenge to encourage students of all kinds to come up with game ideas and submit them. The students do not have to know how to code, they just need to be able to come up with a compelling game idea. This is an opportunity for any creative person. Attached is a copy of an information letter you may share. Follow this link to the site, which includes a neat little "game" that will inform the player on many of the issues surrounding gaming and diversity. The winner will receive a $10,000 college scholarship and $15,00 for their school and the top five will get a trip to the Electronic Entertainment Expo and an opportunity to showcase their game design, receive mentor-ship from leaders in the industry, and join a celebration of women in gaming. Please help me get the word out on this exciting opportunity by sharing it with other educators. The Institute of Education Sciences' report shows a "huge gap" in broadband access among children, and it breaks down the data across demographic groups. 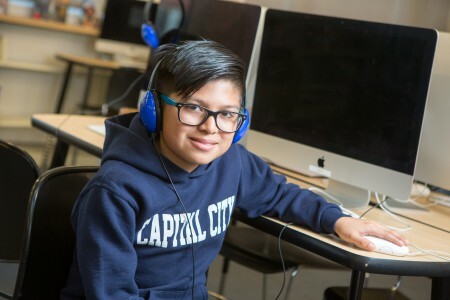 A long-awaited report on access to digital learning hit the newsstands last week with a familiar headline: a digital divide, known as the homework gap in education circles, persists, especially for students of color, students from low-income families, and students in rural areas. Jamboard from Google a new way to collaborate across the world. Michigan is starting a new CoSN Chapter. This is an exciting time for Michigan. They will be the 28th state chapter. Closing the "Homework Gap" panel discustion. The home work is growing as students don't have access out side of school. Teachers are assigning home work that needs access to this resource. Internet is no longer a nice to have but has become a necessity as running water and other services. 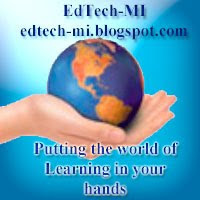 Michigan starts a CoSN Chapter to help build future Technology Leadership. state chapters, Utah and Michigan. CoSN’s state chapter reach to 29 across America. learning; as well as learn from a broader community of leaders represented by CoSN. few years, from professional development programs to peer-to-peer events. Gaisford, Education Technology Specialist, Utah State Board of Education. Learn more about CoSN’s state chapters at: cosn.org/about/state-chapters.